What role do commitment, perfectionism, and shame play in healing? Self-love and self-care might be the most important factors in promoting healing, and yet are often difficult for people to tackle. Whether you’re a Type A personality, a natural caregiver, or simply raised in a culture where you are taught to put everyone and everything ahead of you and your health, truly shifting your lifestyle to incorporate self-care can be a steep learning curve. Jen Wittman joins us this episode to help illuminate how to emerge from perfectionism and shame and take your healing into your own hands. With both personal and professional experience and expertise in thyroid issues, Jen shares her own story and a healthy dose of humor to inspire you to amp up your emotional well-being. 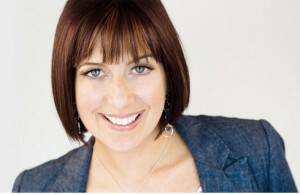 Jen Wittman is a Holistic Health Expert, Author & Coach and is the creator of Your BEST Thyroid Life, The Thyroid Fix in 6 & Thyroid Loving Care providing one-of-a-kind health & lifestyle transformations. Jen hosts Thyroid Radio and her groundbreaking book, Healing Hashimoto’s Naturally teaches readers how to use self-love and self-care to reclaim their lives from thyroid & autoimmune conditions. Jen brings extra helpings of joy and humor to the table as a trained chef and has degrees in culinary arts, psychology, transformational coaching, nutrition, and Italian. Jen spent a year honing her cooking skills in Italy and is passionate about food, family, friends, laughter and helping people craft the life of their dreams. Jen’s 7-day thyroid diet and meal plan: a great meal plan for thyroid or any autoimmune disorder! Includes grocery shopping list and a meal prep plan. If you would like to receive this gift, sign up for the free AI Adventures Club by entering your email address on the form on the top right of the page, or by clicking here! If you’re already a member, then go to the gift page and enter the password. 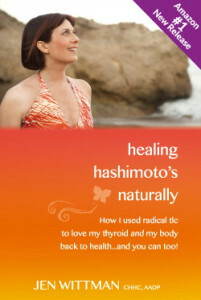 emotions, hashimoto's, self-care, thyroid. Bookmark. Pingback: 13 BEST podcasts you need to be listening to if you have an Autoimmune Disease.